There is no better way to finish off a great wakesurf season than to forget about all the competitions and come together with other wake surfers to enjoy what this sport is all about. The Best Wakesurf Boats, incredible old and new friends, and surfing til your legs just won’t hold you up anymore. Join us for THE wakesurf event that is on so many bucket lists. We will provide the full schedule 1-2 weeks in advance of the event. Please contact amy -at- wake9-dot-com if you would like to go on the waiting list. 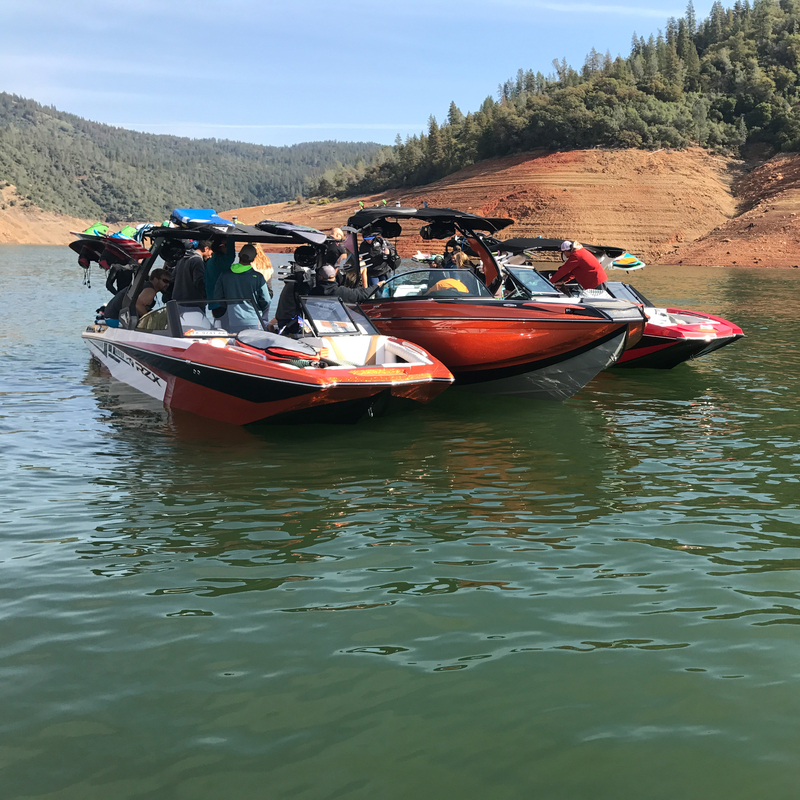 October 13-15th, 2017 at Lake Oroville Marina on beautiful Lake Oroville. You must check in Friday afternoon/evening and the event is over late on Sunday afternoon. We are expecting our normal beautiful fall weather for this area. We will be having 36+ people on about 6 boats. We will be organizing groups to make sure that everyone rides til they collapse. If we end up with 6 boats, everyone should ride on each boat. If we get more than 6 boats, each rider will submit a wish list and we will try to put you on your top 6 boats. We are also going to have boards this year for you to try, stay tuned for those details. We are looking at Boats from Centurion, Nautique, Moomba and Supra. We will give an exact list when we have it. We are also going to have boards from several manufacturers and we will post here as we have them confirmed. The cost is going to be around $225 per person. This covers our costs, insurance, gas, some snacks and water and coffee/muffins for the mornings. Lunch and Dinner will ALSO be provided. We make no profit from this, it all goes to make the event happen. Contact us ([email protected]) if you have any questions or are coming from out of town and need help with food.We are still finalizing some details, which is why registration is happening tomorrow! Contact Rob Harrington ([email protected]) for more information. Other lodging options will be posted shortly, but for maximum funnage, we highly recommend the houseboats. The costs below are per room, each houseboat has 4 rooms. If a boat has only 3 rooms spoken for, the cost on that boat may be higher, so get word to Rob H. right away.